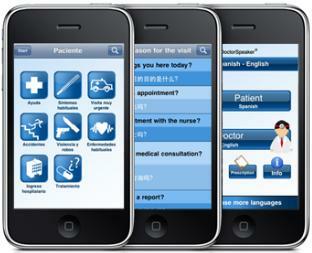 In December 2012, Millennia2015 and UniversalDoctor announced a partnership to develop multilingual eHealth and mobile health applications dedicated to women’s health. This collaboration will result in the launch of UniversalWomen and UniversalNurse Speaker in 2014. With 484 experts from over 65 countries organized into regional communities and international working groups, Millennia2015 has a strong network of experts from which we will draw expertise from on women’s health and nursing issues to ensure these tools are relevant and well-informed. Our UniversalWomen Speaker tool, part of the UniversalWomen Project, will facilitate multilingual communication between women and any healthcare personnel during pregnancy, childbirth and other maternal and women’s health issues. Whether you are traveling or working abroad, UniversalWomen aims to support any woman in need throughout the world. UniversalNurse Speaker will be dedicated to supporting Nurses, enabling them to communicate with patients in several different languages. Nurses will feel more empowered to deliver care to patients in diverse multicultural settings. 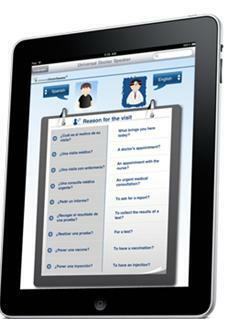 UniversalNurse Speaker will be tailored to meeting the needs of Nurses across the globe. The concepts of UniversalWomen and UniversalNurse Speaker were presented at the Millennia2015 2nd International Conference at UNESCO Headquarters in Paris on 3 December 2012. You can view the full agenda here and discover the different ways Millennia2015 supports women’s empowerment with their partners (UNESCO conference link). Check out our blog soon for more details on these new projects! For immediate access to a medical translator on your mobile phone, download UniversalDoctor Speaker to translate your health needs and medical history (allergies, prescriptions, existing conditions and more) in 11 different languages. Millennia2015 was founded in 2007 by the Institut Destrée, Center for European Studies and NGO official partner of UNESCO (United Nations Educational, Scientific and Cultural Organization), and in consultative status with ECOSOC special status (United Nations Economic and Social Council). Millennia2015’s main objectives are to reinforce and promote women’s empowerment and their full participation in political, economic and social decisions with respect to human rights and gender equality. Millennia2015 achieves this through prospective research and investigation; this includes a two-year study on Women, Health and ICTs and the intersection across these three domains. Millennia2015 and UniversalDoctor will collaborate to disseminate multilingual eHealth applications dedicated to women’s issues (see more about UniversalWomen initiative below) and a new tool for Nurses, UniversalNurses. With 484 experts from over 65 countries organized into regional communities and international working groups, Millennia2015’s main objectives are to reinforce and promote women’s empowerment and their full participation in political, economic and social decisions with respect to human rights and gender equality. Millennia2015 achieves this through prospective research and investigation; they have identified 37 critical variables on which they organize research and conferences. One of these is a two-year study on Women, Health and ICTs and the intersection across these three domains. 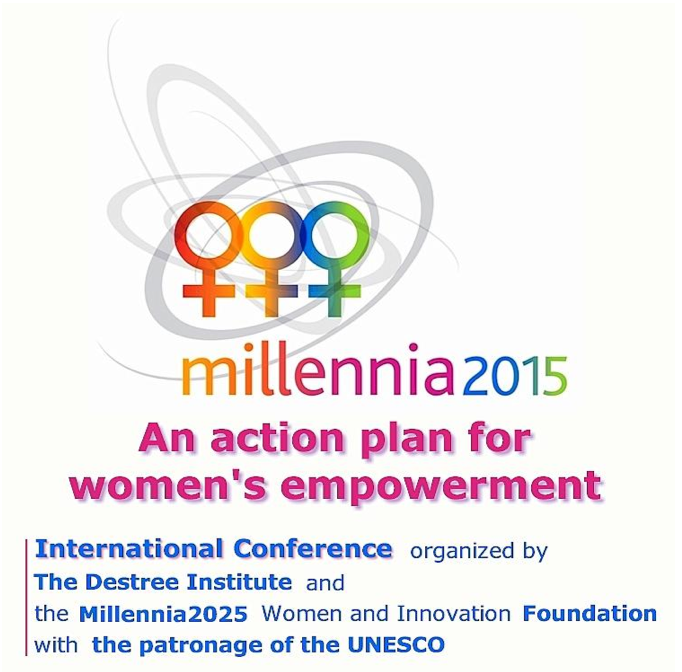 Millennia2015 is currently holding their 2nd International Conference at UNESCO Headquarters in Paris on 3 and 4 December 2012, during which they will release the results of this global research and finalize their “Action Plan for Women’s Empowerment”. You can view the full agenda here (UNESCO conference link). UniversalDoctor will be there, presenting the aim of our collaboration: UniversalNurses and UniversalWomen to tackle language barriers between Nurses and Patients, and Health Professionals and pregnant Women, by producing comprehensive multilingual eHealth solutions.